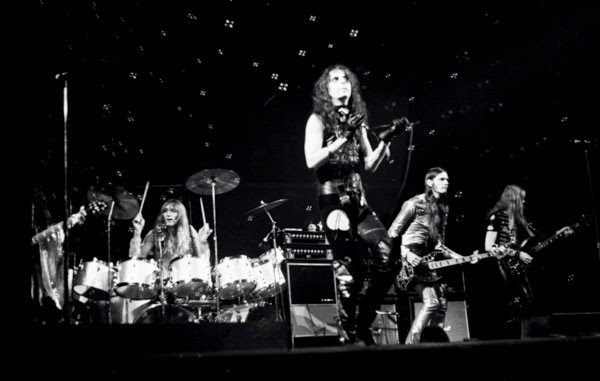 This Alice Cooper (image credit) track from the 1971 album Killer was a most unlikely hit single in the Netherlands in 1973. Halo of flies made the top 10 in the favourite songs of all time that year, as organised by the Dutch pirate radio station Veronica, and the record company yielded to the requests to have the song released as a single - over 8 minutes at a time when 4 minutes was already considered an abnormal length! Actually, with all the instrumental sections and the complicated build-up, this song about espionage is strangely close to progressive rock - an unexpected field for shock rocker Alice Cooper to venture into!